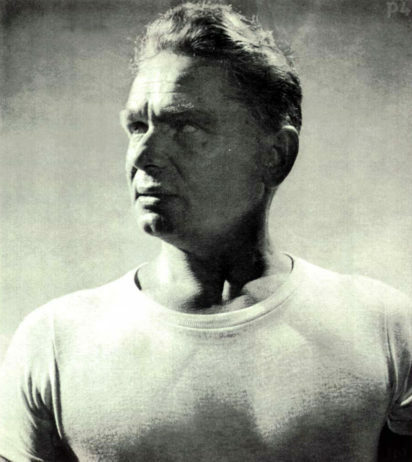 If Joseph Pilates set out to elaborate a fantastic fitness technique, it partly because he wished to overcome his own physical limitations. Born in Düsseldorf, Germany in 1880, he suffered in childhood from asthma, rickets and rheumatoid fever. These debilitating conditions left him weak, and as he reportedly said, vulnerable. Contrology evolved to become some 500 exercises on the mat and various apparatus invented by Joseph Pilates, such as the Cadillac and the Reformer. In 1926, he moved to New York City and opened a club on 8th Avenue with his wife, Clara, a nurse who had a great influence on his method and helped perfect it. The Pilates’ knew great success with dancers, socialites, athletes and housewives. But aside from a chosen few individuals, the world would have to wait for Hollywood to adopt Pilates in order to know it better. The FPMP brings together professionals of the Pilates method certified by the FPMP, in the course of training, studios and training schools. Copyright © 2019 — FPMP. All rights reserved. No reproduction prohibited.